You will be given a reference e-book to read which has 94 pages And the test will be based on that e-book , you can take final test within 1 year of purchase. When it comes to exposing the products and services of your business, having adequate online communications media skills is highly important. The reason behind this is that the internet, nowadays, plays a vital role in the improvement of a marketing department’s promotional and advertising campaigns. The internet is now filled with a lot of social media tools designed to help a business communicate with online users and prospective customers and build awareness regarding this brand. Facebook, MySpace and Twitter are just three of these social media tools. If you are thinking of using online media tools when it comes to capturing the attention of your target audience, then you have to consider taking up an online communications media skills course as this will help you in fully understanding the specific procedures involved in generating brand awareness and loyalty through strong social media interactions. Because of the effectiveness of online communications media skills when it comes to exposing your business and building brand awareness, one can no longer deny the fact that these online media tools and skills can have a positive impact on your sales. One of the many online communications media skills that you should consider honing is the ability to effectively integrate various social media tools into your daily marketing campaigns and strategies. You should also be capable of developing and managing Facebook, micro-sites, Twitter, blogs and any other social media tools so you can continue to effectively connect and communicate with your stakeholders and customers and convey your real message to them. In your attempt to further hone your online communications media skills, it is advisable for you to consider enrolling in the online communications media skills certification program which you can access at Brainmeasures. As an ISO certified online certification and employment testing company, you can expect Brainmeasures to give you the kind of learning and training that you need about online communications media and how you can use what you have learned in improving the performance of your business and increasing its sales and profitability. With the help of the online communications media skills certification course offered by Brainmeasures, you will no longer find it hard to understand the different online media tools that you can use in promoting and advertising your products and services. The program will enhance your knowledge about online and social media capabilities including community development, SEO, increasing the number of your followers and improving fan base, improving online brand awareness, management and loyalty, networking and social monitoring. 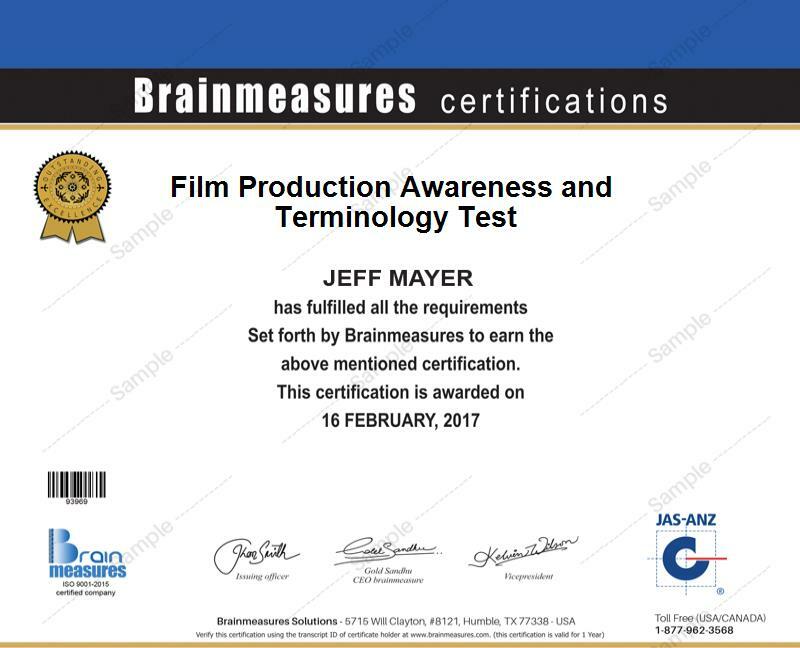 In order for you to take a hold of your certificate in this field, Brainmeasures will require you to take and pass the online communications test. No one can deny the fact that the online communications media skills certification program is capable of benefiting different types of people who are part of any type of organization and institution. The course is actually beneficial to individuals, entrepreneurs or business owners and professionals who are planning to learn the basic tools and techniques needed in enhancing, developing, managing and analyzing data that are part of the most recent changes in online communications and in making sure that all their online marketing campaigns achieve success. Being a holder of an online communications media skills certification can help you in significantly increasing the amount of your salary. Your salary in this field will actually be dependent on the kind of position that you hold, the industry where you are working and the benefits and any other remuneration rewards that you receive apart from your regular salary. The most usual salary range for online communications media skills certification holders is around $54,000 to $120,000.